Roanoke Island Festival Park will open its latest exhibit this week, All Hands on Deck: Celebrating the 35th Anniversary of the Elizabeth II. This new exhibit will commemorate the first launch of the Elizabeth II and highlight the efforts of the volunteers and staff who have maintained the ship over the last 35 years. The exhibit is sponsored by the Friends of Elizabeth II and will be on display in the Ticket Sales Gallery, Monday – Saturday from 9 a.m. to 5 p.m. and Sunday 12 p.m. to 5 p.m. through December 31. All Hands on Deck is dedicated to the volunteers who support Roanoke Island Festival Park in the maintenance of the Elizabeth II. “The Elizabeth II is one of North Carolina’s treasures. I am thankful to the volunteers and staff who work to maintain this wooden vessel. Their efforts allow generations of school children the opportunity to learn about American history in a fun and interactive way,” said Kim Sawyer, Executive Director at Roanoke Island Festival Park. The exhibit will showcase the various parts of the ship and give visitors an up-close view of how she is maintained throughout the year. The Elizabeth II is a representation of one of the seven English merchant vessels from the Roanoke Voyages of 1585. The ship was built to celebrate the rich history of North Carolina. 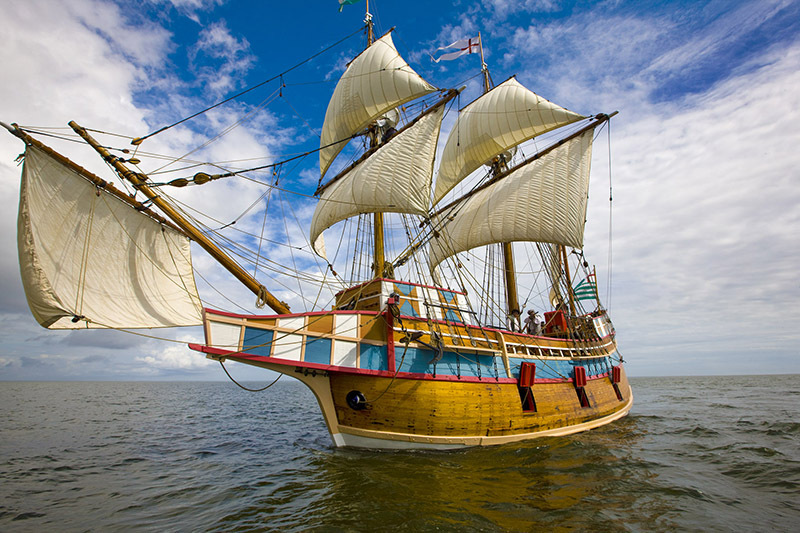 The Elizabeth II resides at its homeport at Roanoke Island Festival Park, on the Manteo waterfront, and serves as a historic attraction celebrating the first English settlement in America.